While living with Parkinson’s disease can be challenging, there are many things you can do to live well and improve your quality of life. Because PD affects each person differently, your physical therapist will partner with you and your physician to manage your specific situation – now and as your condition changes. You are not alone! Physical Therapy may help you! 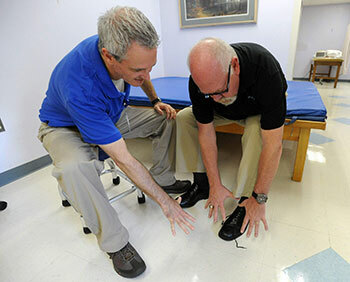 Your physical therapist will conduct a comprehensive evaluation, including tests to examine your posture, strength, flexibility, walking, balance, coordination, and attention to movement. Based on your evaluation, your therapist will develop an individualized treatment plan to help you stay as active and as independent as possible. Your program will include exercises and proven techniques to combat the symptoms and progression of PD. Strength and endurance, so that you can better climb and descend stairs and curbs and function throughout your day. That’s why our care is always provided ONE therapist to ONE patient. ONE at a time. EVERY TIME, and lets us stand out from the rest. It’s the ProFitness AdvantageSM. And it’s what helps us achieve such excellent results. 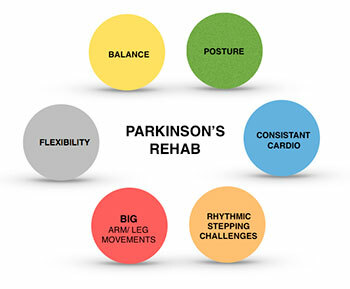 If your world is growing smaller and smaller due to the progression of Parkinson’s disease, let our therapists help you. You deserve a better quality of life!